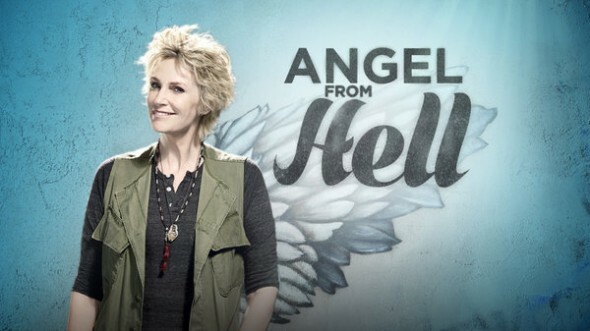 Earlier this week, CBS cancelled and pulled their new sitcom, Angel from Hell. The network won’t be airing an episode tonight and it’s unclear if or when the remaining episodes will be released. Fans of the Jane Lynch sitcom were understandably upset by CBS’ cancellation decision. Members of the cast expressed their own disappointment on Twitter. And to fans of the show – thank you so much for supporting us. I had a hell of a time working with @janemarielynch and @maggielawson, even if my episode didn't air. I swear I was in it! Ask them! What do you think? Will you miss Angel from Hell? Do you think that it should have been cancelled so soon? Should it have been renewed for a second season? Our family was so disappointed to see this cancelled! It wasn’t even given the chance. We need to see more line ups like this! This was filled with great humor tons of laughs. It felt good to watch something that can make you laugh out loud. So different to the current serious programming and ridiculous reality junk out there. To cancelled such a talented crew with out explaination to their followers was so disrespectful. Cheers Ms lynch and angel family. Thanks for making us laugh again. Hate that the show was cancelled. We loved it and thought it was hilarious! It was upbeat and funny! I liked the show! It’s much better than Two Broke Girls, and they’ve been on for how many seasons now? I cannot understand how “TWO BROKE GIRLS”, stays on with all the filthy language . Please replace that show with”ANGLE FROM HELL”. Hurt. Loved the show. Like to think if i had a gaurdian angel she would be likr jane all the way. Sad to see it go. Angel from hell needs to be picked up by another station!!! People want this show to have a chance…. It’s clever, funny and family friendly!!!! We loved that show! It was laugh out loud funny! Bring it back! CBS hardly gave it a chance! It was fun, cute, and had really great talents on board. Please rethink the cancellation CBS. Perhaps you should have at least tried a different time slot, and maybe a little better marketing? Since there wasn’t much, it takes time for word of mouth to get the ratings up. Really gonna miss Angel from Hell. Such a good show. Love anything with Jane Lynch.Finally a funny show that’s not reality or gruesome and it gets canceled. I hope it gets picked up by another network. Very disappointed. Think it’s time we cancel one million moms and put an end to their attempts at censorship in what should be a free country. People who look to be offended will have no trouble finding subjectively offensive material. But all their attempts to eliminate such material is the ONLY offense worth eliminating. Come on people, it’s not rocket science. If advertisers are happy with the audience it was getting, than they would have kept it on the air. It’s as simple as that. Very disappointed, Angel From Hell is wonderful and has huge potential. Please reverse the decision to cancel!